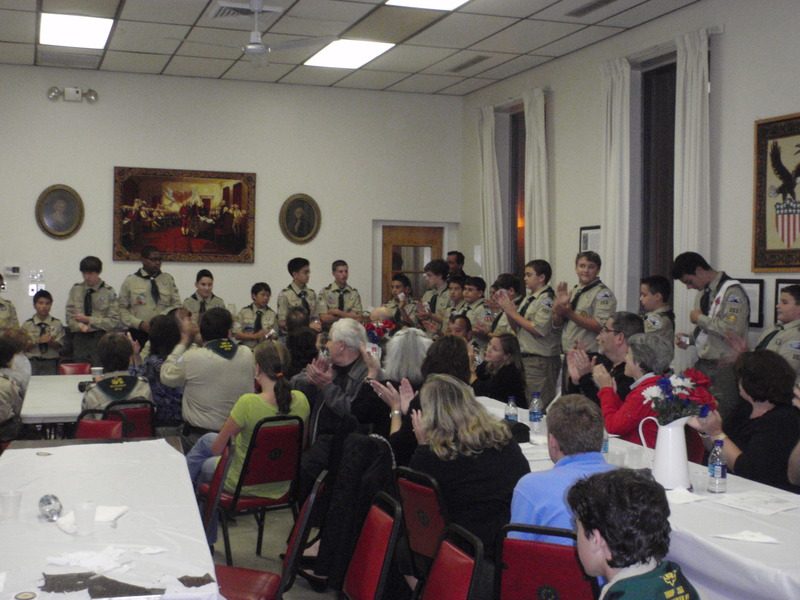 The fall Court of Honor in our troop is always the biggest and best as a pot luck dinner is a part of the festive night! This year was no different, as more than 75 people were present and a record number of advancement awards were handed out following summer camp at Read Reservation: + 80 merit badges for 12 scouts & 12 scouts advancing in rank. 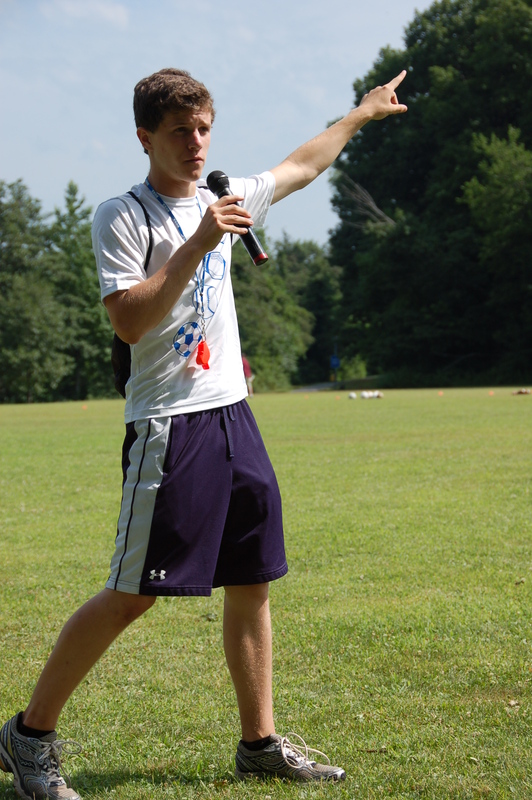 Also, special congratulations to Michael P–winner of the 2009–2010 Scout of the Year. 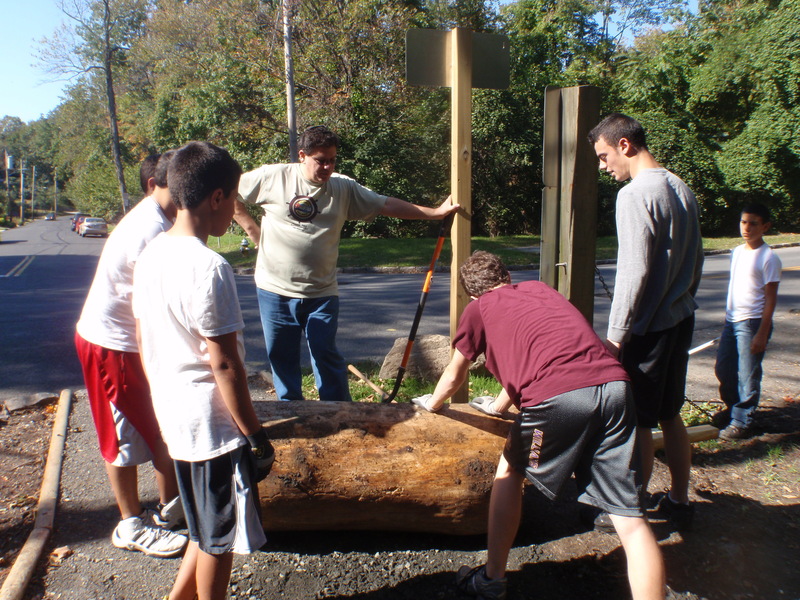 There was a two-way tie fo the Annual Good Turn Service Award between William B & Michael I, as these scouts accumulated more than 100 hours of community service across a wide range of community service opportunities. Special BSA Emergency Preparation and Mile Swim Awards were also handed out to Willaim B, Chris L & Michael P. Here are a few pictures from this memorable night! 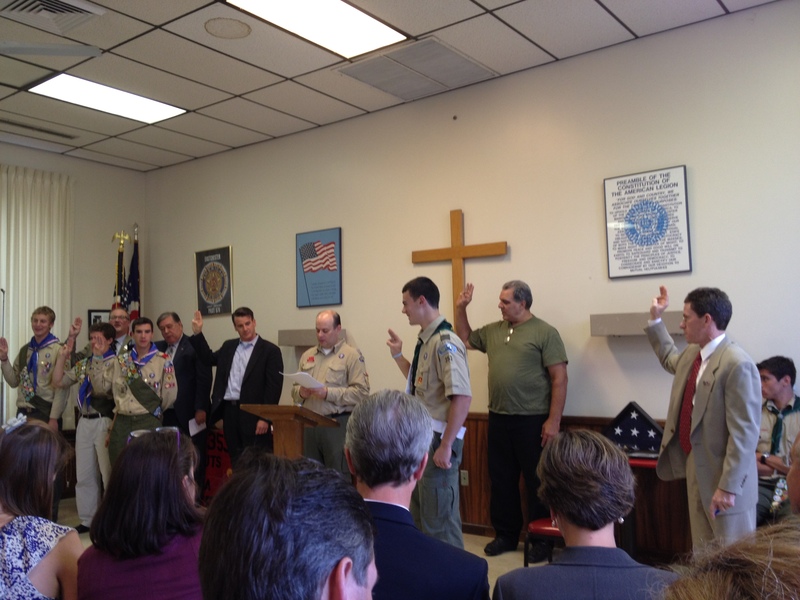 Troop 353 has been exceptionally fortunate in that we typically average one Eagle Scout per year and 2010 was no different! 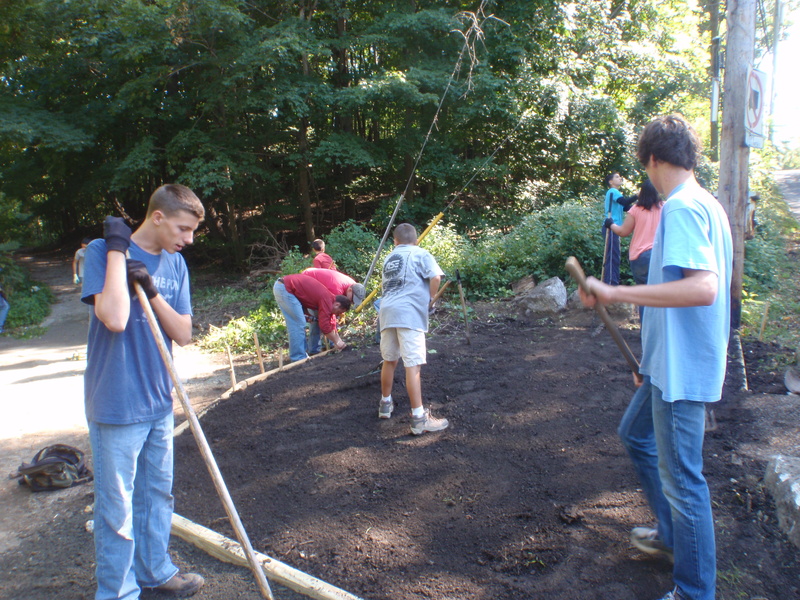 The official guidance in the BSA’s Eagle Scout Leadership Service Project Workbook clearly states that a leadership service project does NOT need to be original but this year a scout (David Quigley) came forth with a very unique idea that our troop leaders had never seen before. 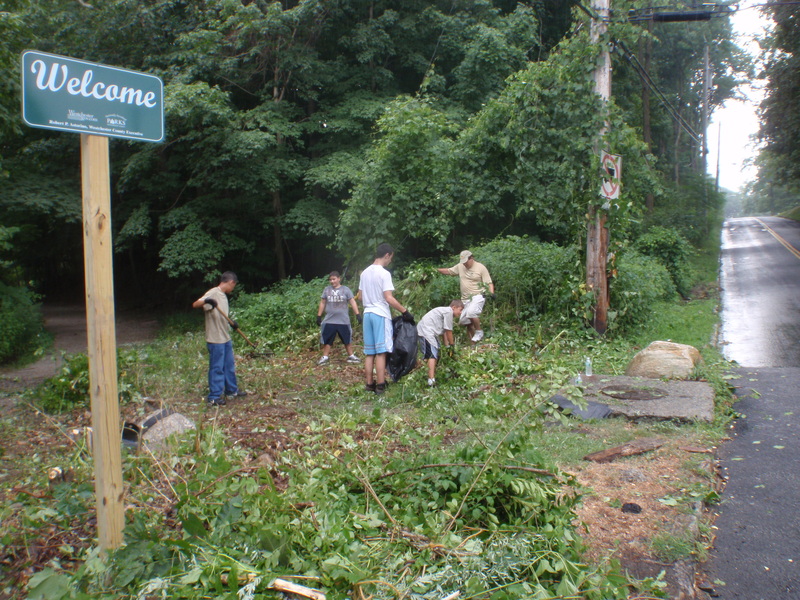 The concept was to assist community officials and other volunteer groups in a major project to assess the economic impact of the urban canopy in the village of Tuckahoe. 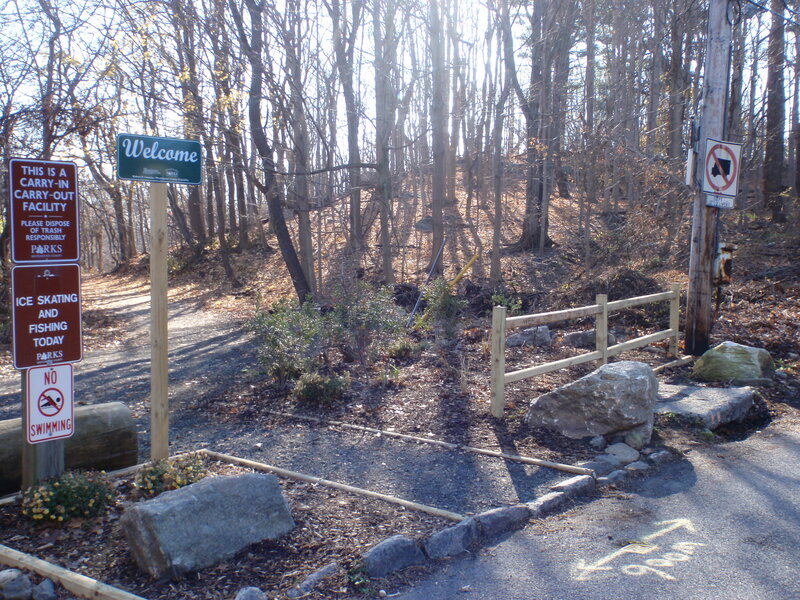 This type of appraisal includes a measurement and inventory of all trees that belong to the village. To correctly assess, one has to go through training and submit evaluations on the condition of the tree & whether there is any overhead wire interference or uprooted sidewalks, possibly signaling potential economic problems during future storms. Such ultra-green practices are cutting edge urban management strategies being deployed on a growing list of rapidly expanding cities worldwide, including 21 different cities in CA; Portland, OR; Jacksonville, FL;and more recently including Washington, DC; Rockville, MD, Shoreview, MN; Nashville, TN; Seattle, WA and several others. More info about David’s project can be seen on the Eagles Nest page of this website. David’s accomplishments are numerous and impressive. 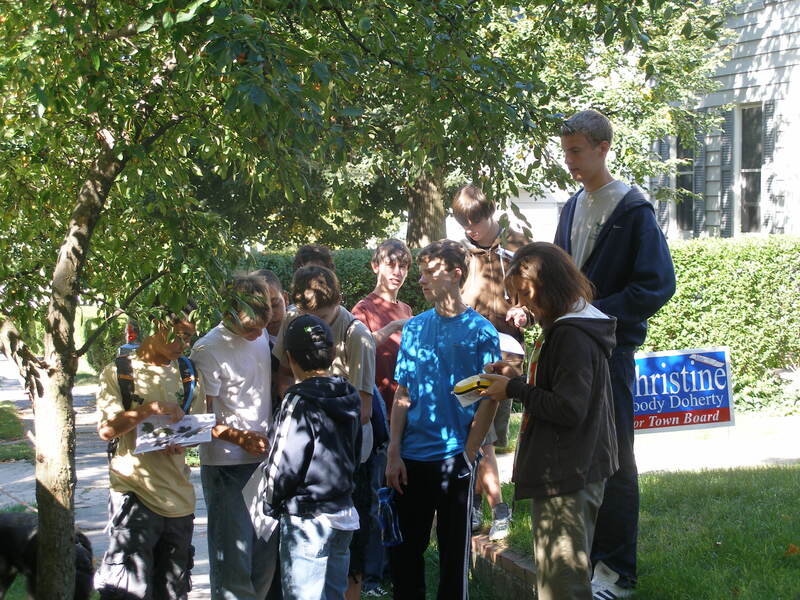 He held a variety of key youth leadership roles: Troop Guide, Patrol Leader, Assistant SPL and SPL. 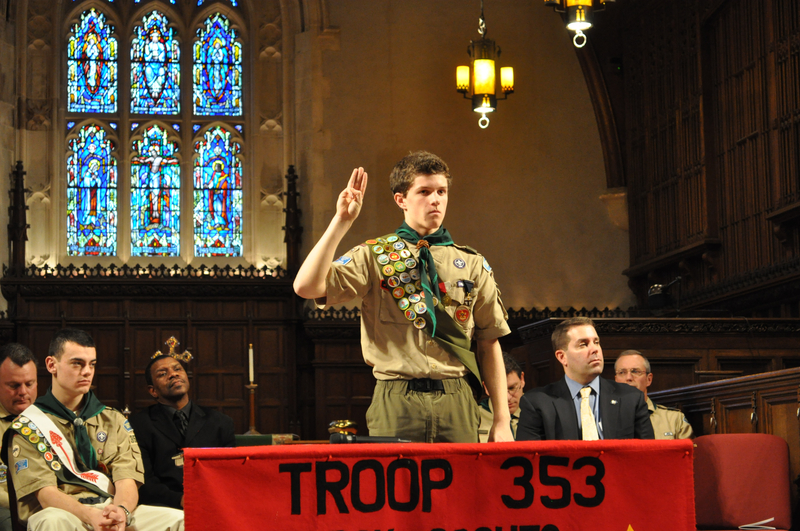 Not only did he manage to take on the demanding role of Sr Patrol Leader during 11th grade, but he also managed to complete a few more merit badges, complete his Eagle Scout Leadership Project while taking all honors courses in his senior year and while playing on varsity soccer and crewing for Fordham Prep. David has a wonderful talent for successfully executing many troop activities with limited time constraints in such a way that one would believe the event had been planned for months! 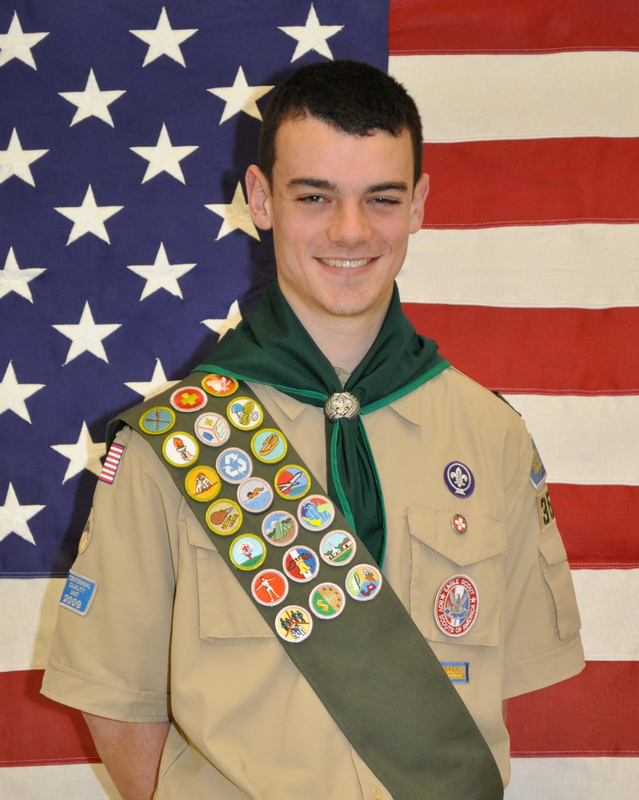 I have personally known David since Cub Scouts and he has grown to be an extremely caring, capable young man and should represent all Eagle Scouts well. 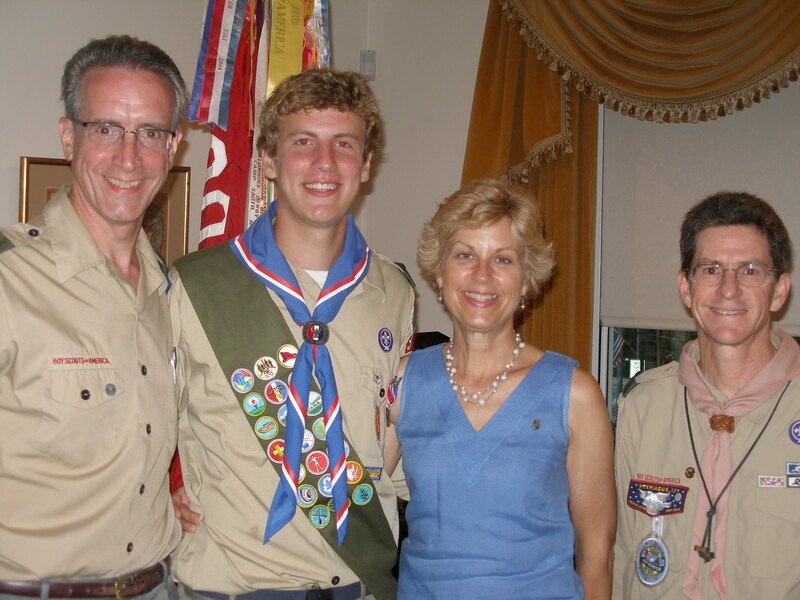 Like nearly all of the Eagle Scouts from Troop 353, David’s parents were very active in our troop and Mr. Steve Quigley was the Advancement Chair for many years. Mrs Quigley was very active in girl scouts and both of David’s sisters, Eileen & Laura completed their Gold Award. Due to David’s very demanding schedule, even after graduation, it was a challenge to schedule his Eagle Court of Honor! 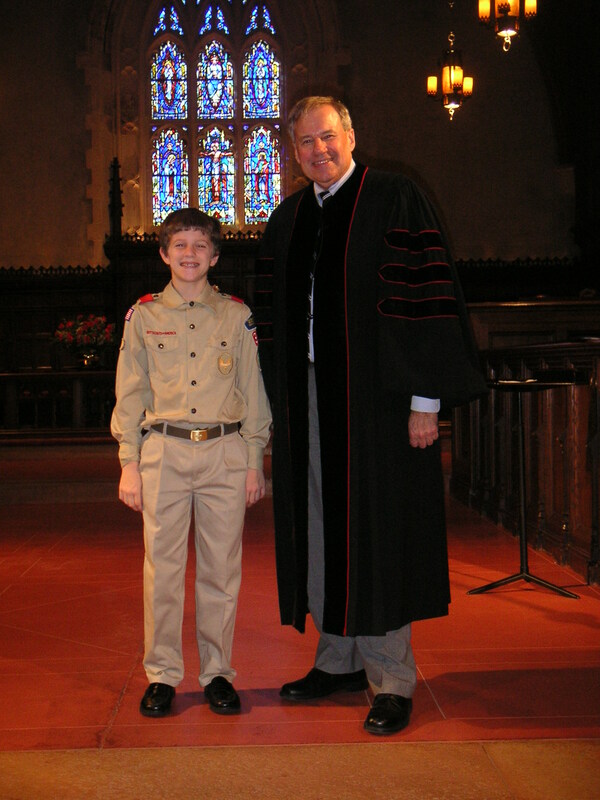 July 25th turned out to be the best available date for the Quigley family and one of the more meaningful participants was David’s grandfather, himself an Eagle Scout. Former Eagle Scouts and several current scouts gathered during that hot day in the beautiful Generoso Pope Foundation building in Tuckahoe to celebrate David’s special day of celebration. In attendance were the faithful group of public officials: Nita Lowey & Amy Paulin (NY State Congresswomen), Vito Pinto & Sheila Marcotte (Westchester County Legislators), John Fitzpatrick (Tuckahoe Village Mayor), Clare Goreman and Steve Ecklond (Tuckahoe Village Trusteees), Robert Forster (VFW), and Frank Morganthaler (American Legion). David, like all of the scouts in our troop, has accomplished much during his youth scouting career and we are equally excited to see where his college studies at Holy Cross take him professionally. Though less than 4% of all scouts ever attain the rank of Eagle, it is clearly not the ONLY yardstick of success in our troop. 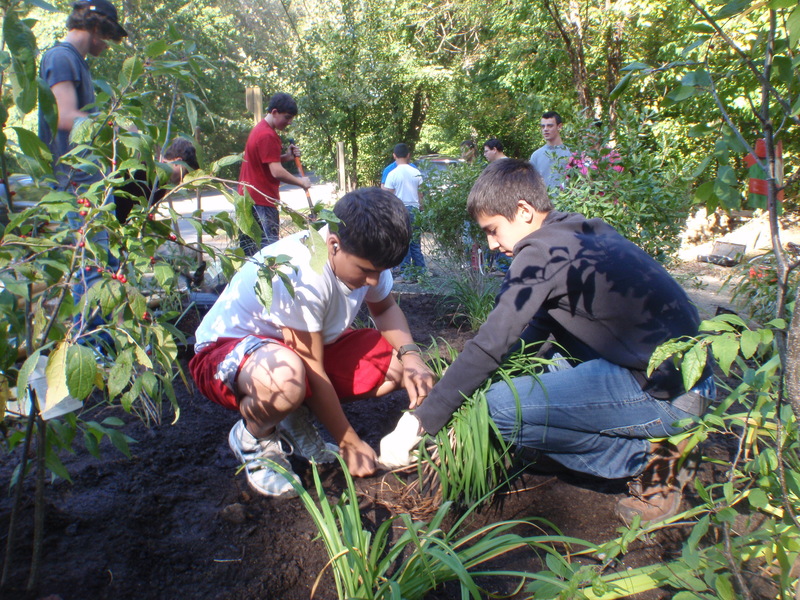 Importantly, what the adult leaders of troop 353 are striving to create is a rich and varied program that provides ample opportunities for ALL scouts to learn about the world around them, how to lead others, how to make strong moral and ethical decisions, to serve their community and fellow scouts cheerfully and to lead a healthy life style. 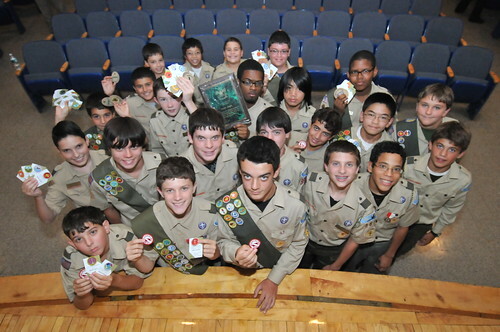 Advancement per se is not a goal of the Scouting program. It is along the unique scouting trail, that many, many experiences of a lifetime are created for our boys and I am very sure that David would vouch for the truthfulness of this statement as he reflects back on the richness of his special experience in Scouting! 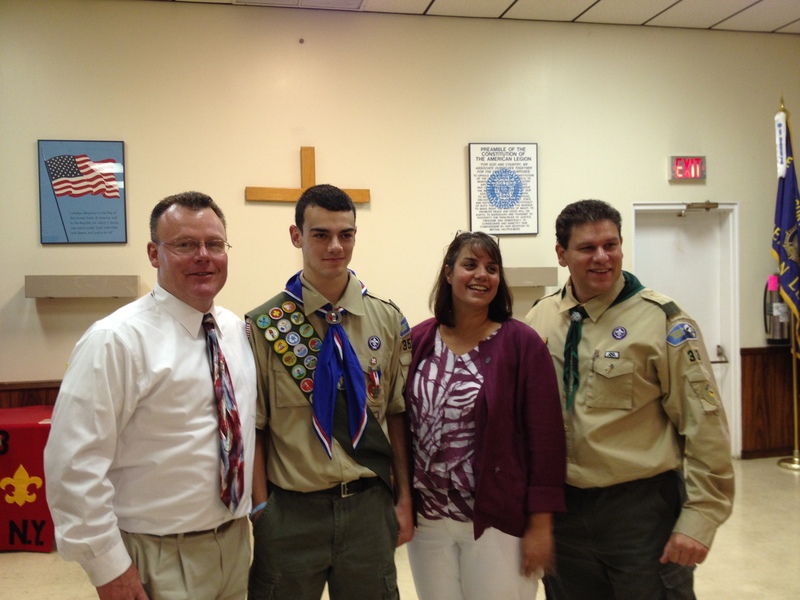 Hats off to Mr. David Quigley, Eagle Scout! 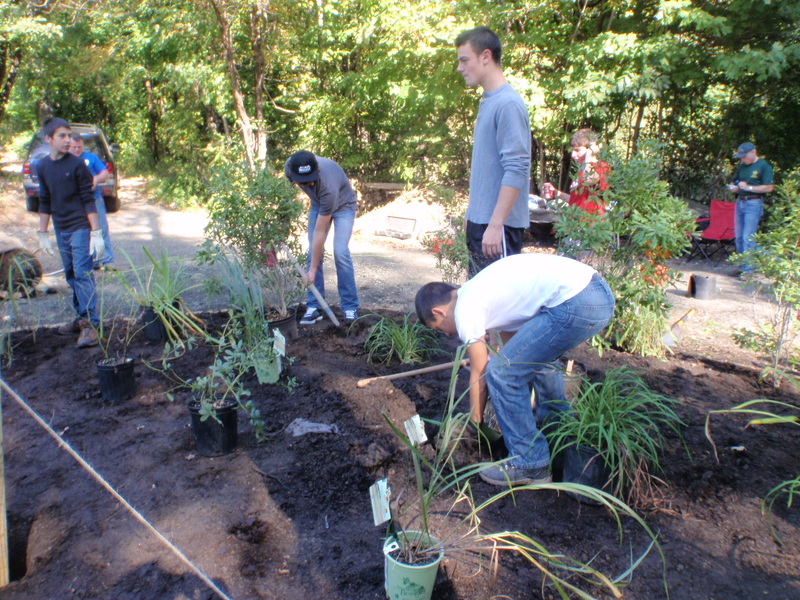 More pictures of David’s uniquely “Green” Eagle Project and Eagle Court of Honor can be found here! According to the Scoutmaster’s Handbook, the four stages of advancement in Scouting are learning, testing, review & recognition. The last step, “recognition”, is regarded as being extremely important to every scout and this is represented by a special awards ceremony called a Court of Honor. 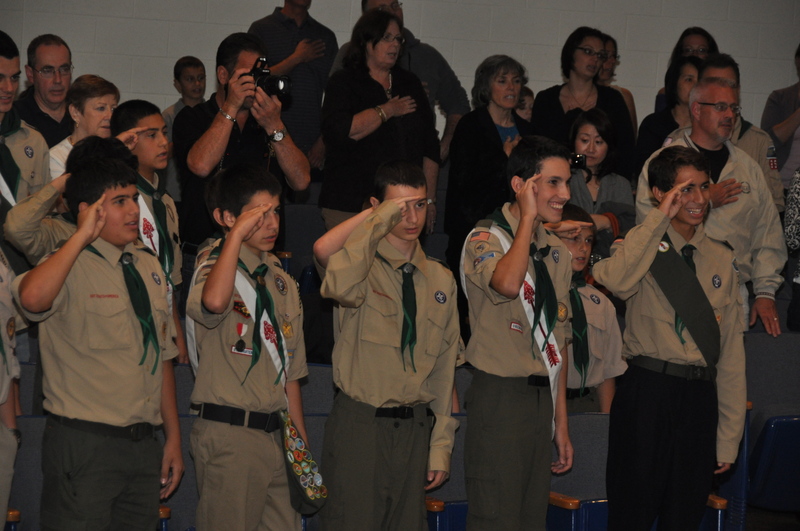 While all Courts of Honor are special events the Fall Court of Honor for Troop 353 is the most distinguished. Not only is it a night for fellowship and to enjoy a family-style pot luck dinner (thanks to Mrs. Poletti and several other moms), but it is also a night of very special recognition. This special evening occurs relatively soon after summer camp, where the scouts have frequently earned many merit badges (65 total) and /or advanced in rank. The annual Scout of the Year Award is given to a deserved Scout that has exhibited the best traits of Scouting throughout the past year (advancement, training, & participation in all troop activities). 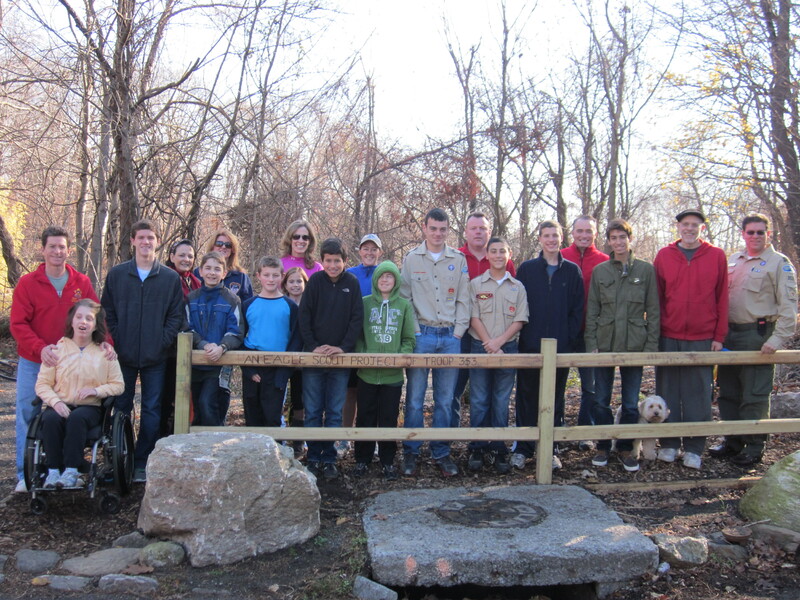 The annual Good Turn Service Award recognizes a scout’s community service efforts often go beyond scouting to related activities for school & through their church or synagogue. In 2009, if all of the advancement and annual awards were not enough, a surprise Lifetime Achievement Award was given to one of the more devoted adult scouters in Troop 353’s history. The court of honor took a special turn and a healthy dose of Scouting Spirit was introduced to court of honor with an opening of a few very funny skits representing comical scenes from the high adventure Sea Base camp earlier that summer as well as the senior scout’s favorite spirit song (this is a a do-as-I do song) from Sea Base during the dessert hour. How wonderful it was to see the older boys having fun time and spreading their infectious enthusiasm! 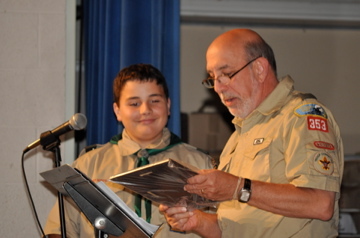 The annual Scout of the Year Award in 2010 was won by D. Appia. D. Appia had superior results in all categories that mattered: he advanced, he took advantage of most troop activities (including summer camp), he took on meaningful roles of leadership and did so in a cheerful manner. 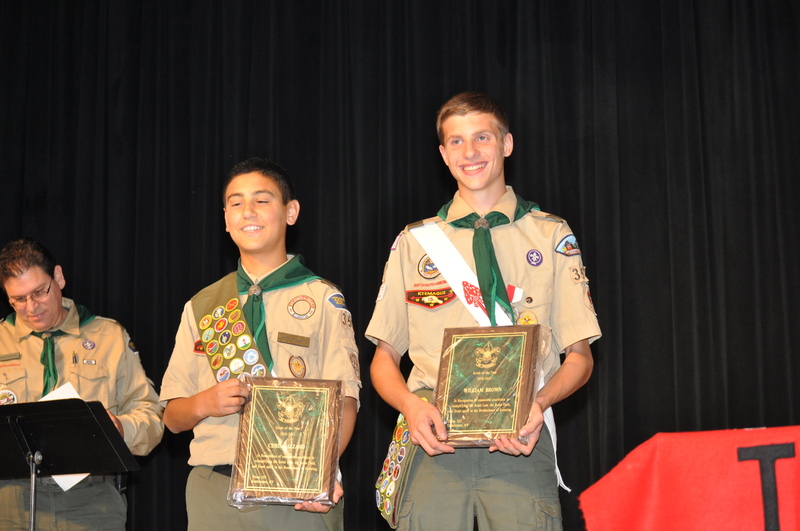 From the Scout of the Year Committee’s perspective D. Appia was the undisputed leader across these categories and was particularly well-deserved to earn this prestigious once-in-a-lifetime Scouting award. When the number of submitted service hours that one particular scout had accumulated were examined, I thought “this cannot be possible”. 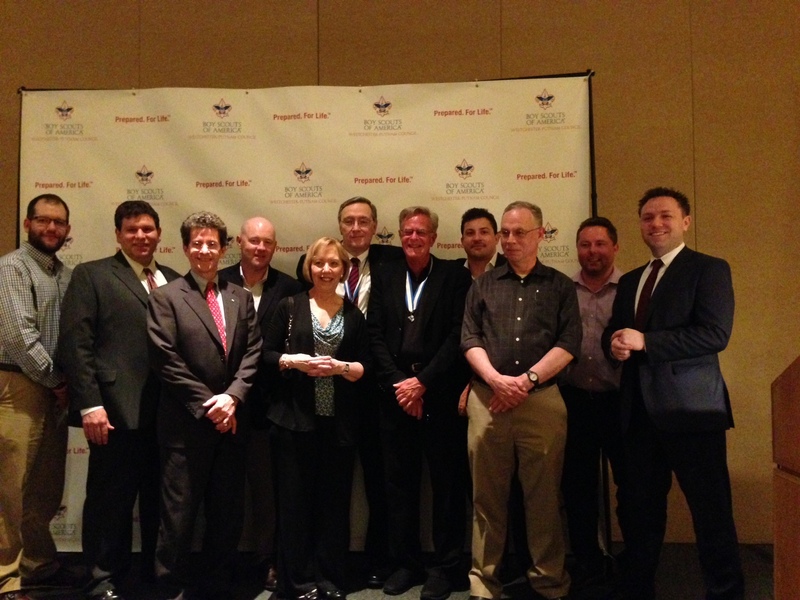 Yet, the Good Turn Service Award committee had dutifully accumulated and verified the data. 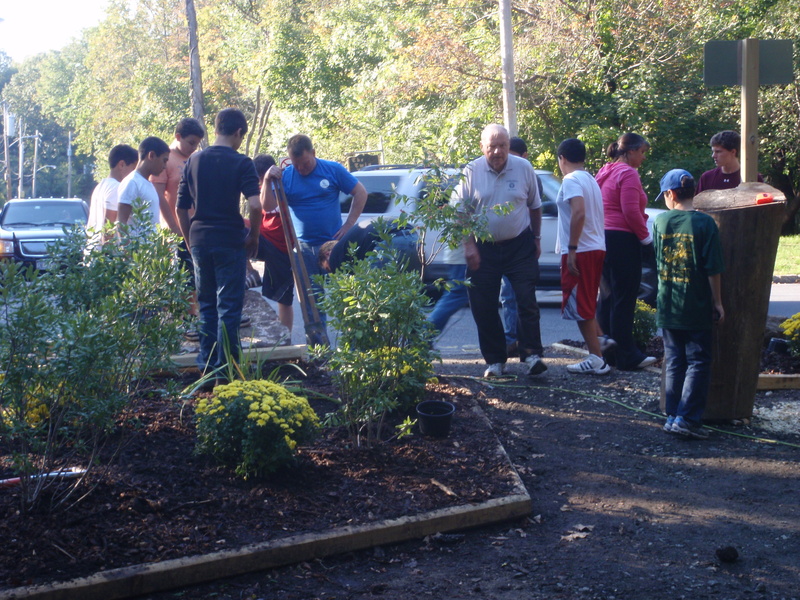 After a few phone calls, it was abundantly clear that J. Gonzalez had indeed accumulated approximately 175 hours of total community service work hours during the chosen measurement period! In fact his hourly totals were over 100% higher than the second place finisher. Again, the winner of this award was particularly clear cut. The last award was one that was particularly important to keep “quiet”, as the recipient was also heavily involved in Scout of the Year committee and had intimate knowledge of the Court of Honor program details. The adult leadership committee was unanimous in its decision that the one individual that had devoted most of his adult life to Scouting in some fashion and, even long after his youngest son had made Eagle Scout, graduated from college and entered the workforce, this dad still spent considerable energy contributing substantially to a number of key scouting activities throughout the year for Troop 353, giving special consideration to first year scouts. 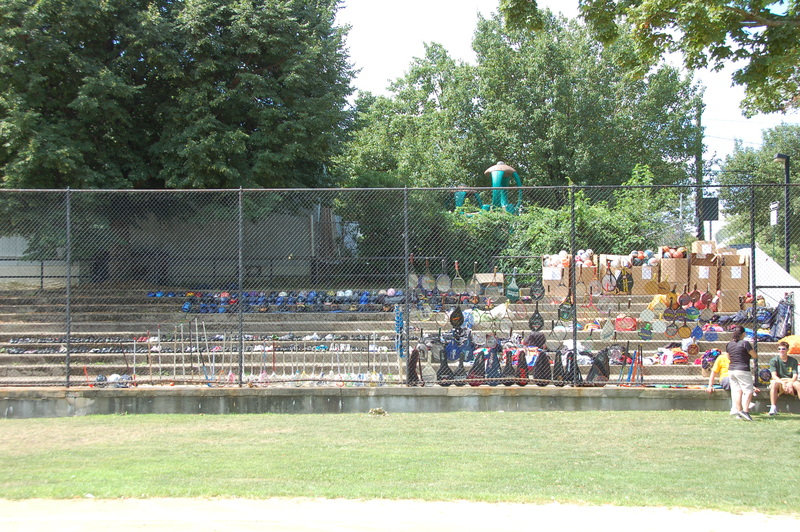 Moreover, this senior scout leader over the years had deliberately chosen to expend his scouting time and energies toward the scouts of Troop 353 and not toward larger Council-type events was thus ineligible for any of the Council recognition awards. Given this criteria, the obvious Lifetime Achievement Award winner was senior committee member Mr. Michael D. William! For the perfect trifecta of award winners and other great pictures, click here.